This is the full and detailed views of the fourth German translation of The Ghostway published by Rowohlt as part of their thriller series. 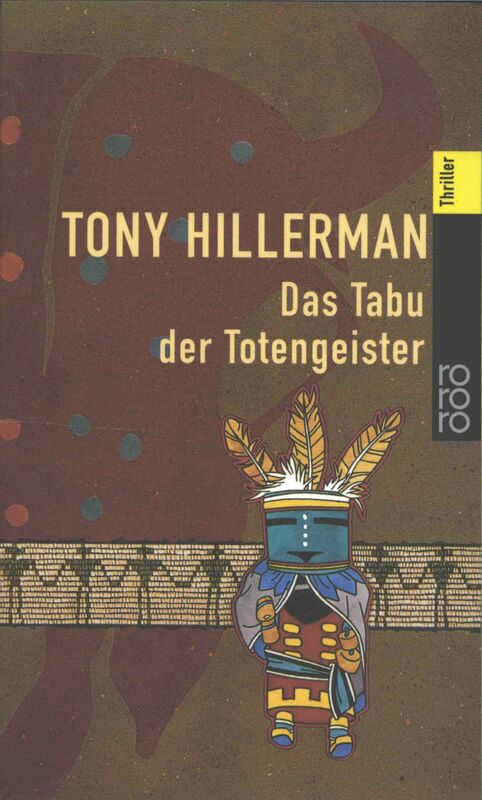 The title translates as "Taboo of the Spirits (or Ghosts) of the Dead." 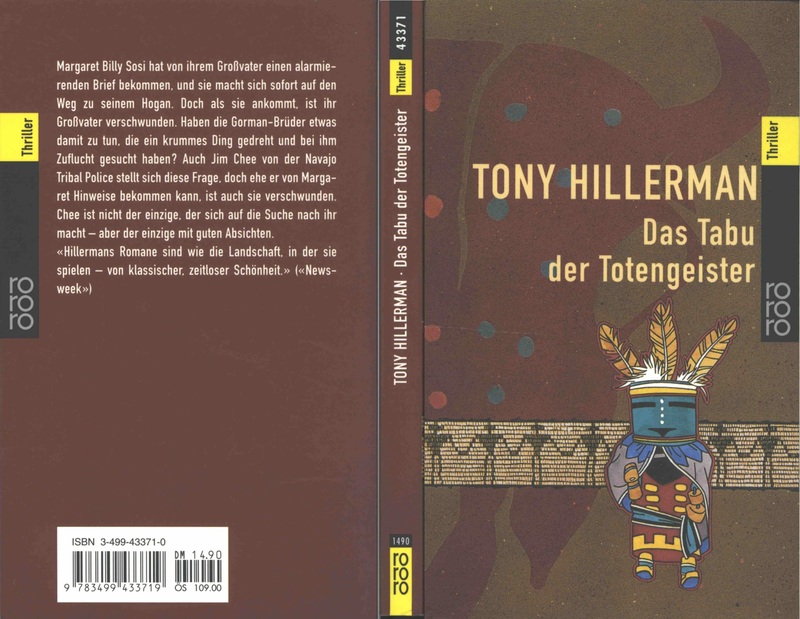 The cover, designed by Jürgen Mick, features of a dancing kachina figure and a background consisting of the image of a bull skull and a strip of figures holding hands. The text was translated by Klaus Fröba.